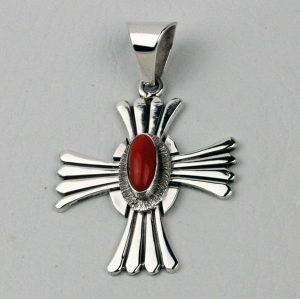 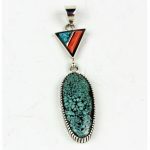 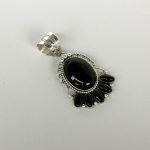 This sterling silver pendant by artist Thomas Jim, is set with a coral stone. This sterling silver pendant by artist Thomas Jim, is set with a coral stone. 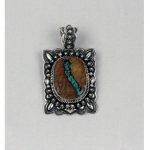 It is 2″ in length and 1 5/8″ in width.